Writing about architect Gil Schafer is always a pleasure. 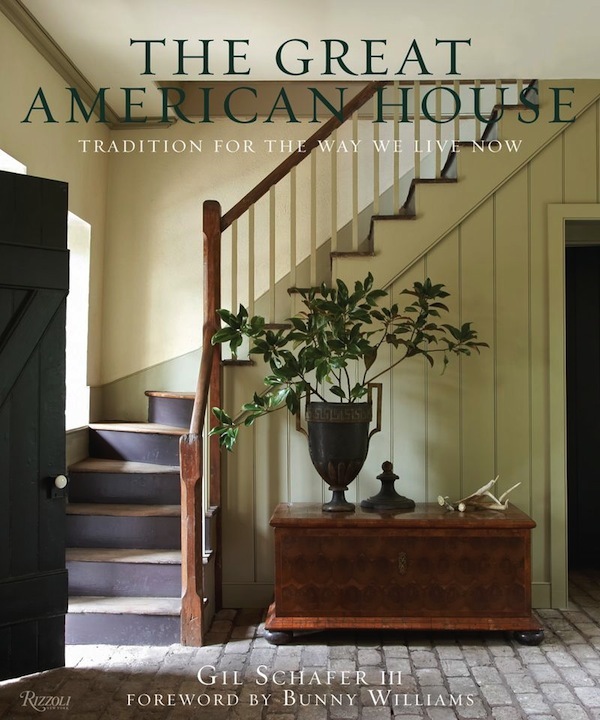 The occasion is frequently because I’ve spied a new project on his site or spoken to him to get insight about a past one, but I’m delighted today to celebrate the publication of his fabulous first book, The Great American House. Not surprisingly, everything about the book is pitch perfect. The jacket has an understated matte lamination and subtly elegant embossed type, the color of which exactly matches the rustic door and rolls over seamlessly onto the spine. I appreciate these details and applaud the art director at Rizzoli who so captured the essence of Schafer’s style. While this book can certainly be judged by its handsome cover, there is indeed much more. My full review is over at Cottages and Gardens today. I encourage you to make the jump – I think you will find this is a must-have for your design collection. Even die hard Schafer fans, who may be familiar with some of the projects, will appreciate having everything in large living color in one volume. This entry posted in architecture, books, design, Gil Schafer, interior design. Entry Tags: Architecture, Design, Design Books, Gil Schafer, interior design, The Great American House Bookmark the permalink. So lovely in the design and simplicity. I’m going to have to get this book since the cover has grabbed me. Love the cobblestone floors, that urn filled with greenery, the elegant simplicity. What a beautiful cover! And the images you’ve shown are equally as beautiful. Will definitely have to add this book to the collection. Thanks for sharing! 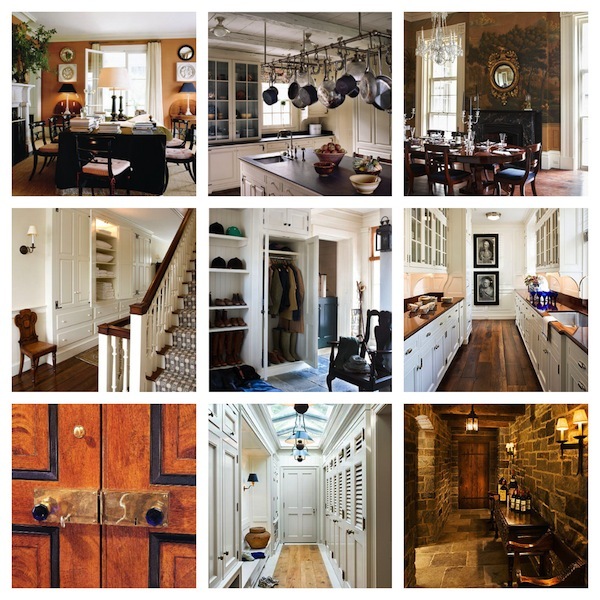 One of my absolute favorite architects and frequently seen on our blog. Love the book – poured over every page…fabulous, fabulous details!! Ok…I’m sold!!! Heading straight to Amazon!!! You did a great review over at the other site. His work is gorgeous, and you are right. Even die hard fans will love having so many pictures in one volume. I will have to put this on my Christmas wish list!